Just under a dozen miles or so from the headwaters of the iconic Colorado River, the snow is falling in the Kawuneeche Valley of Rocky Mountain National Park. 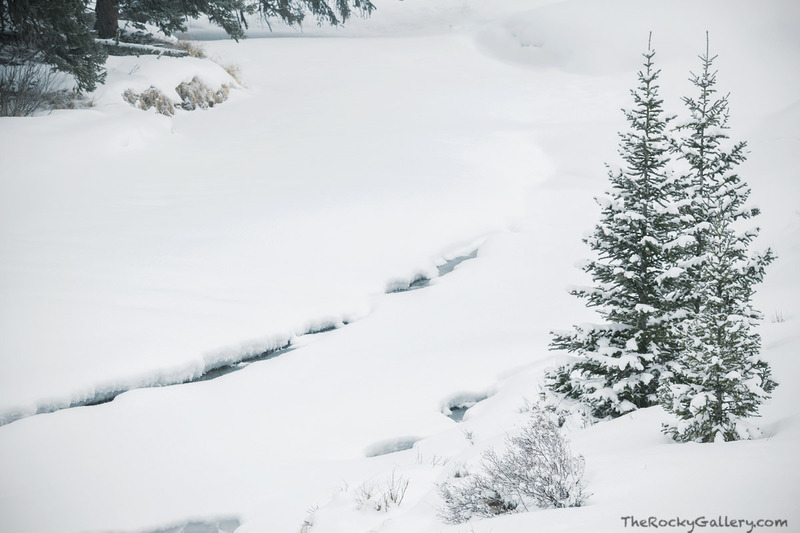 The Colorado River is frozen at the surface but the outline of 'S' curve can be seen winding by a trio of snow covered pines on the west side of RMNP. Photo © copyright by Thomas Mangan.